On the Caribbean island of Tobago, there is an odd snake. Many snakes are well camouflaged to blend in their environments, to surprise a tasty meal and to avoid their own predators. Other snakes are brightly colored to advertise their dangerousness to predators (called aposematic coloration). Coral snakes are an excellent example of aposematic coloration, with conspicuously banded color patterns usually in some combination of red, black and white or yellow (and the deadly venom to back it up). There are also a host of coral snake mimics that look like coral snakes but are not venomous or only mildly so. These mimics get protection for looking like what they are not. 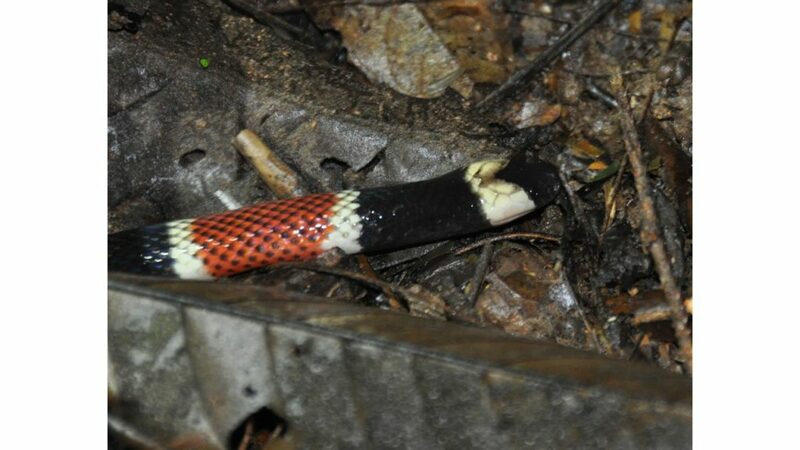 However, the snake on Tobago (Erythrolamprus ocellatus), is neither well camouflaged nor a good mimic of coral snakes. It is red with black blotches (not rings) and virtually no white coloration at all. 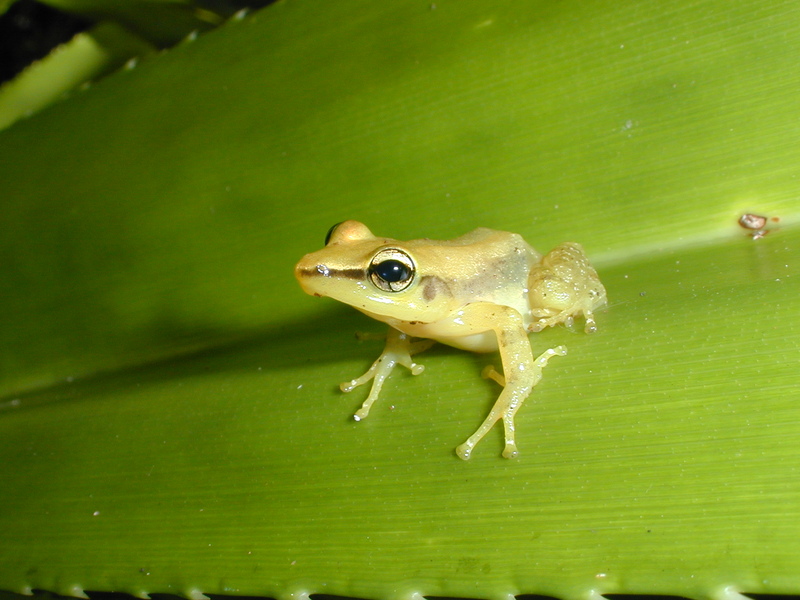 Erythrolamprus ocellatus in life. Photo by Stephen L.S. Smith, taken on 28 July 2010 in Runnemeade, Tobago, West Indies. Now, Tobago does not have coral snakes (though neighboring Trinidad does) and we hypothesized that E. ocellatus was in the process of evolving away from being a coral snake mimic in their absence. In summer 2014, Erin Hodson (’15) and I did a field experiment to test this idea. 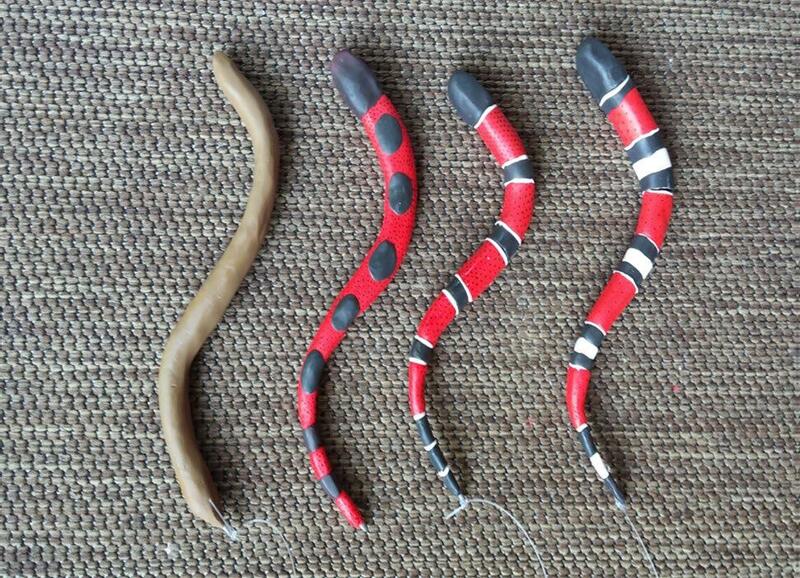 Erin (and her friends and family) laboriously made 480 clay replicas of E. ocellatus and the relevant coral snakes (see below). We then hauled them down to Trinidad and Tobago to set out and see what would attack them. Notable overweight baggage fees were incurred. Clay snakes made for the field experiment. The paper describing the results of our work has recently appeared in the pages of the journal Evolutionary Biology. Feel free to look it up and see what we found! Erin E. Hodson and Richard M. Lehtinen. 2017. 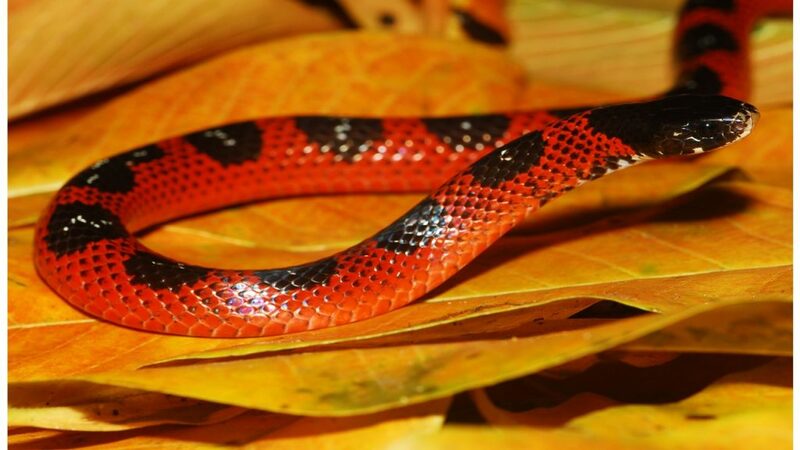 Diverse Evidence for the Decline of an Adaptation in a Coral Snake Mimic. Evolutionary Biology 44: 401–410. Next PostNext Hidden Wildlife: What comes out after dark?